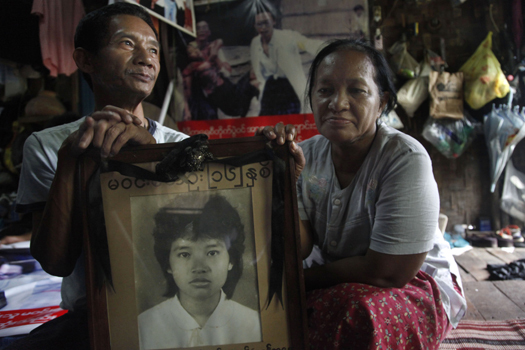 YANGON, December 9, 2015—With hopes running high after the National League for Democracy’s landslide victory in November, a new paper by the International Center for Transitional Justice calls on the soon-to-be-established Burmese government to seriously consider taking steps to deal with Myanmar’s troubled past as a way to help end the cycle of violence and human rights violations in the conflict-torn country. Until 2011, the military government in Myanmar was considered one of the world's most repressive and abusive regimes. Resulting conflicts led to an estimated 1.1 million civilians displaced internally and across international borders. Impunity for violations has fueled conflict and further violations, including recent reported atrocities in Shan State and the recurring violence against the Rohingya. The ICTJ paper, “Opening Up Remedies in Myanmar: Understanding the Range of Options for Dealing with Myanmar’s Past,” points to practical steps that the government and civil society groups could take to address Myanmar’s past and ongoing violations, including truth telling and reparations. It dispels many common misunderstandings about transitional justice, that it only amounts to revenge and putting people on trial. “Recognizing victims’ suffering and taking steps to heal the wounds of the past would go a long way toward demonstrating that the NLD-led government is not part of the tradition of oppressive governments,” says Aileen Thomson, author of the paper and ICTJ’s lead expert in Myanmar. While some progress has been made in recent years, such as the release of hundreds of political prisoners and local police officials’ apology for a violent crackdown against 2012 protesters at the Letpadaung copper mine, much more needs to be done. For instance, monks who were beaten and arrested during the 2007 Saffron Revolution have called for an apology. And prisoners who were released have called for an end to ongoing restrictions on their activities and limitations on their political and civil rights. The paper argues that providing remedies for past violations would clearly demonstrate that the government stands on the side of the victims, not on the side of the abusers. Yet, the paper recognizes that building trust and promoting national reconciliation after almost 50 years of military rule and conflict will not be easy. Human rights violations persist, especially in areas where ceasefire agreements are tenuous. “The new government will have to strike a delicate balance with the military in order to govern effectively, constrained in part by military leaders’ fear of retribution for the past,” says Thomson. Practical measures that the government could take now include allowing organizations that assist victims to do their work without interference and ensuring that survivors, particularly those with serious medical needs, have access to adequate state services. The paper underscores that measures linked with the peace process, such as the return and reintegration of internally displaced persons and the release of detainees charged with “unlawful association,” present important opportunities to begin to address the past.